Buy De Wit swan neck hoe: <ul><strong><li>Cuts and cultivates below the soil's surface</li><li>Strong and durable carbon steel</li><li>Lifetime guarantee</li></strong></ul><br>The De Wit swan neck hoe allows controlled, precise pull hoeing in borders and between plants and rows. 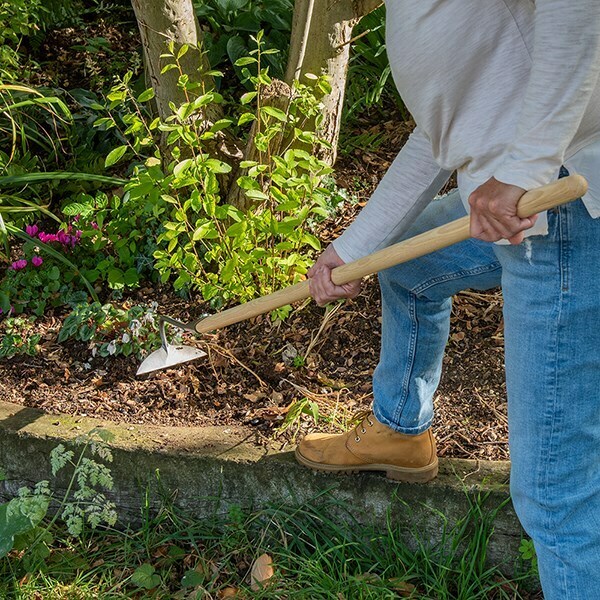 <br><br>The exaggerated curve angles the blade so it can glide under the soil's surface, cutting weeds off at the roots. It's also the ideal shape to nudge overhanging plants out of harm’s way as you hoe.<br><br>Built to last from sharpened hand-forged steel with an oiled ash handle, it’s more than a match for even the toughest of perennial weeds.<br><br>As the handle will naturally shrink over time, a locking nut fixes the head in place - letting you simply re-tighten it to keep the tool solid and strong for a lifetime.<br><br>Measurements:<br>Head L5.5cm x W16cm (2” x 6.25”)<br>Total length 160cm (63”)<br><br><strong>About De Wit tools</strong><br><br>The Dutch are renowned for making the world’s finest garden tools, and De Wit is the most respected name of all. Founded in 1898, the family-owned toolmaker combines old-fashioned quality and craftsmanship with innovative design to create superior tools that last a lifetime.<br><br> Every tool is hand-forged in the Netherlands from tough boron steel - shaped, sharpened and burnished for durability, giving it the same blackened patina as traditional Edwardian tools. Each is fitted with an FSC-certified solid ash handle for ultimate strength and shock resistance, oiled to provide first-class protection against the elements.<br><br>All De Wit tools come with a lifetime guarantee against manufacturing defects, making them a truly once in a lifetime purchase. The De Wit swan neck hoe allows controlled, precise pull hoeing in borders and between plants and rows. 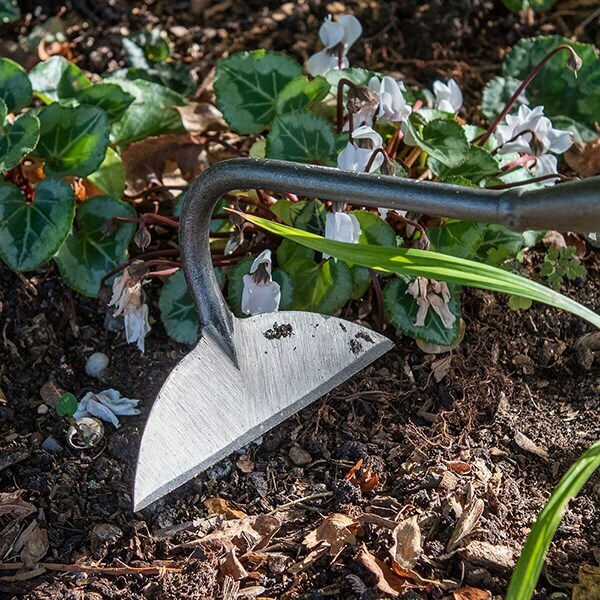 The exaggerated curve angles the blade so it can glide under the soil's surface, cutting weeds off at the roots. It's also the ideal shape to nudge overhanging plants out of harm’s way as you hoe. 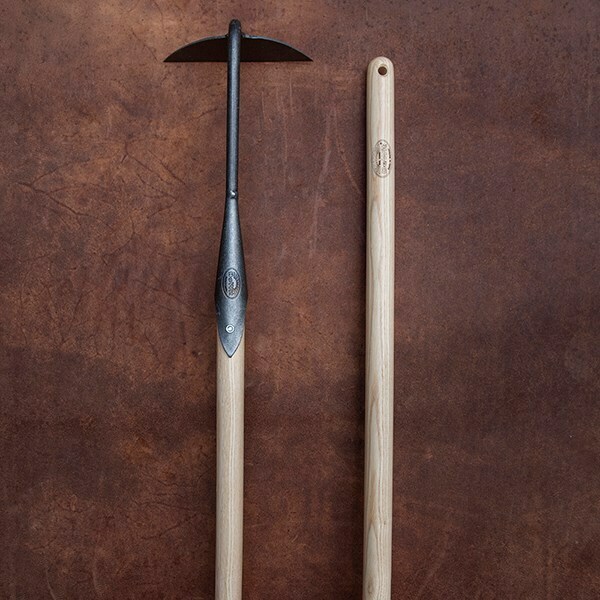 Built to last from sharpened hand-forged steel with an oiled ash handle, it’s more than a match for even the toughest of perennial weeds. As the handle will naturally shrink over time, a locking nut fixes the head in place - letting you simply re-tighten it to keep the tool solid and strong for a lifetime.